Russia’s defense ministry released a video of Su-34 bombers destroying an Islamic State oil-refining plant near the Syrian city of Ras al-Ayn on the border with Turkey, as Russia intensifies airstrikes on the terrorists’ oil smuggling routes. The video released on Thursday shows Russian jets hitting oil reservoirs located on territory under Islamic State (IS, formerly ISIS/ISIL) control. “Strikes took technical equipment out of operation and inflamed oil products, causing a large fire at the plant,” reads the bulletin of the Russian Centre for reconciliation of opposing sides in Syria from June 1. The new strike is part of intensified efforts by Russia to cut the funding of the terrorists’ activities in Syria. On May 31, Russia carried out strikes near the Syrian city of Al-Taura, only 42 kilometers [26 miles] from Raqqa, Islamic State’s stronghold. 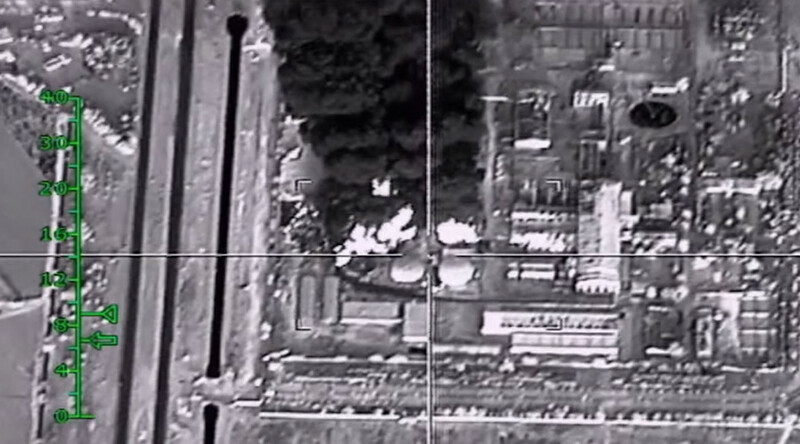 Bombers “destroyed illegal terrorists’ oil production facilities” during the operation, the ministry of defense said. Russia launched a major anti-terrorist campaign in Syria on September 30, 2015, at the request of President Bashar Assad. The bombing campaign proved to be a success, destroying more than 200 oil producing and refining facilities that had been seized by terrorists. Russia’s Security Council deputy head, Evgeny Lukyanov, estimated that up to 28,000 Islamic State and Al-Nusra Front militants were killed in the Syrian Army and Russian air forces’ joint operation, amounting to roughly 35 percent of their total number in Syria. 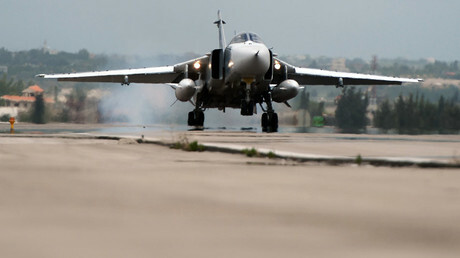 Although Russia ended its campaign and withdrew the main part of its forces from Syria in March, it has maintained a military presence in the country, in particular at the Tartus and Khmeimim airbases, with the objective of assuring that all parties to the ceasefire regime brokered with the US on February 27 are in compliance. While the US-led coalition and Russia have agreed not to target armed opposition groups that joined the truce, Islamic State, Jabhat al-Nusra, along with other internationally recognized terrorist groups, were excluded from the agreement.